SEO | Today, I am going to tell you what is On-page SEO. 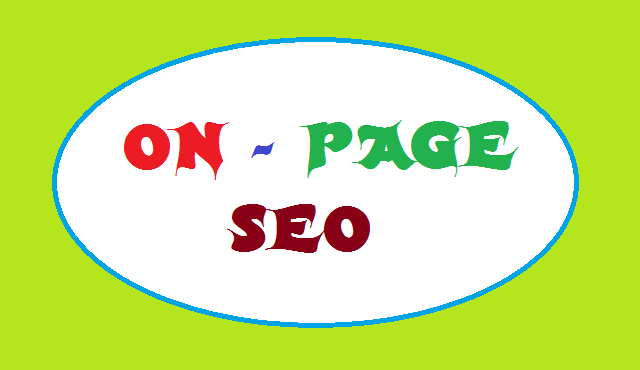 On-page SEO is the parts of Search Engine Optimization. As we know that On-page SEO plays an important role in SEO of a website. When we work with on-page SEO it means we work with you website health. On-Page SEO - In On-page SEO, we work on your website page or blog.The most popular ways that search engines worldwide tend to rank websites is by looking frequency of certain keywords and phrases on various facets of your site, and assigning an appropriate degree of weight accordingly. In On-page SEO we have to work with keywords or their phrases. With our business related keywords we make Title, Meta description accordingly for a single page of any website and update it respectively. These are some major task for on-page SEO.